Today is my birthday. Friday is Ty’s birthday. He should be turning six years old. On behalf of the Foundation, I am so grateful to my great friend Meghan for making THIS happen at theory in NYC J. Ty’s birthday will be celebrated at the coolest store location in Manhattan – the Ganzevoort location. 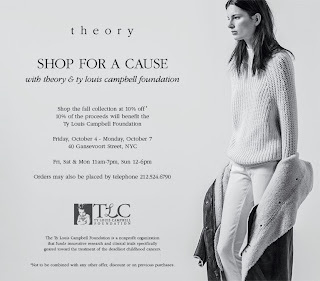 Starting Thursday, the store is offering 10 percent off all purchases, and an additional 10 percent of all proceeds going to the TLC Foundation. Such a simple way to contribute. We are so happy to be teaming up with such a high-style brand. Last week I also read books to the students at Wingdale and Dover Elementary Schools during their now-annual TLC Pajama Day Fundraiser. I especially enjoyed reading “The Adventures of SuperTy and Gavin” because it gave me the opportunity to answer questions about Ty – the kids were all so curious and so caring. We raised a lot of money for the cause, and we hope many other schools that hosted PJ Day fundraisers last year will do so again this year. For information on how to bring this idea to your child’s school, preschool or daycare, please email thetlcfoundation@gmail.com. I promise the SuperTy book, along with some new SuperTy tees, will be available for online purchase very soon! Exactly one year ago. Our favorite smile of the day. Needless to say, the only gift I wanted for today was to have my angel baby back, so the second best “gift” was to let this day come and go like any other day. I wanted to ignore it and just get through it. I didn’t want to hear a single “happy birthday” or have that stupid song sung to me by a birthday cake – but my family wouldn’t allow such deprivation. They sang “Crappy birthday to you” with smiles and tears. And friends sent me hundreds of well wishes via Facebook, text messages, flowers and emails (thank you). After Gavin went to sleep, Lou told me that he had a surprise for me. He asked me to wait in the other room while he got my present ready. At first, I daydreamed the sweetest imaginary dream in the whole wide world. In my crazy head I imagined walking into the room, and finding the greatest most impossible birthday surprise – my beautiful boy back, sitting in his designated spot on the couch with a smile that could warm a stone. As I waited, I realized what he was doing and I started to cry before I even walked into the room. He was setting something up on the TV. It had to be home movies of Ty. Lou called me into the room, he had a glass of wine waiting for me, and he hit play. It was so much more than random home movies of Ty. Lou always does things to the umpteenth degree. He had Donna (the great, unstoppable, most loving DONNA) work on a 15 minute long compilation that was set to the most beautiful music you can imagine. I watched videos of Ty cooing in his crib, eating his first foods, dancing before he could even walk, and so much more. I heard his beautiful voice. His laughter. Over and over again, I saw him run across the room and kiss me. I don’t know how she found so many perfect videos of Ty – some that I didn’t ever remember seeing before. I cried through the entire thing. Loud, ugly, hysterical sobs. I could NOT BREATHE. It literally took my breath away. No words were exchanged through its entirety. I just took it all in and relished in the beauty of my love lost. Although I could barely get the words out, I told Lou afterward that it was the best gift I’ve ever gotten and that no gift can ever top it while I’m still here on Earth. That the only better gift would be Ty himself. Please celebrate Ty on Friday. The weather is supposed to be incredibly beautiful, as it should be, and I know you will be thinking of him as the red leaves are beginning to fall. XOXO. Thank you for your continued love and support. Soooo many hugs to you....ooooooxxxxx. we love you Ty! My words seem so hollow but I will always keep your family and the fight for the cure of childhood cancer in my daily prayers. Thinking I want a new "do"....donating my long hair for this cause and in a small way to a child with cancer is going to be so easy. Thinking of you and Lou and Gavin in this "crappy birthday" time. Ty lives on, through you, and all that you do in his honor. Ty will NEVER be forgotten, and will be celebrated, always. Love to you and your family. Crappy Birthday Cindy. I cried ugly reading how you cried, imagining those videos of the most perfect boy and hearing that beautiful sweet voice of his. I wish I could say more than IM SORRY. He should be here with you celebrating. Happy Birthday SuperTY! We love you so! God bless you and your family and your beautiful angel TY..
For the past week a little black lady bug is hanging out in my bathroom. I will try to let her free so she can bring you a little smile. I do not know you but for a year now I have read your post. Last year I gave birth to a baby boy and a week later I read your loss. I can not express how deeply sorry I am for you. Every time I see a lady bug my heart goes to you and Ty who I didn't know but still I love him. This photo of you an Ty are incredible, I saved in my phone if you don't mind. I always cry when I read your words and I see Ty's photos. Today one more time. I follow you from the day Ty passed away and I read your beautiful, sweet and sad farewell to Ty. I can stop following you and reading your inspiring words. 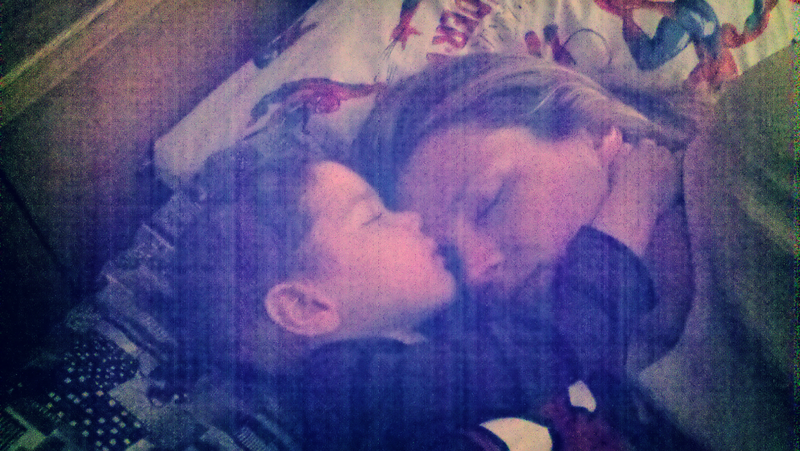 Lately my son Pol decided to sleep in my bed, they do exactly the same as Ty. I take that as a little gift that some day will disappear. For now I enjoyed as much as I can. You teach somehow to appreciate those little gifts as it deserves. You help me to realize more and more how important are that kind of things and I love you just for this. Many thanks Cindy, for your strength and courage. I hope you are a little better. I would like to help to Ty's foundation from Spain, I now here are in Barcelona are investigating in pediatric cancer specifically, let me know if I can do something. Happy Crappy Birthday to you Cindy! My wish for you is that one day you'll be able to watch that beautiful video and your heart will swell with only love and joy and longing without so much pain. Happy Crappy Birthday. Much love. I wish for you, a peaceful, less painful year ahead. Your beautiful boys are so lucky to have such wonderful parents. SuperTy has touched hearts all over the world. Thinking of you all during this very difficult week. Ty, this is my promise to you, your beautiful young mama and your family. 1. I will shop in theory. 2. I will be donating money also on friday to anything superTy. 3. I will approach school with idea of PJ day. 4. I will have a birthday party for you on Friday with my boys. we will release ballons, have a cake (preferably blue) and blue lollipops. I realized it long ago that your smile is the most beautiful thing I have ever seen in this world. I would have given up many things to have your in your mom's arms again, or just sleeping with your hand wrapped around her neck. No words, no actions, nothing could bring your back. This is what real problem is. We can help the poor by giving money. We can help hungry by feeding him. we can help the lonely by giving them love and company. We can stop wars by stopping to fight. We have solutions to every problem except one: Noone can bring Ty back and give him to his family. AND WE STILL CAN'T CURE CANCER AND PROVIDE CURE TO BABIES. Its sickening. We have celebrities faces attached to causes, we have politician faces attached to causes, I can almost name any famous person and type of disease, cause, they support. But I don't know anyone (except really only few) whose faces I see that are known to support pediatric cancer. Even celebrities who are moms. It pisses me off. It makes me believe all of them are blind. So it really only leaves mom and dads who are true supporters of this cause. But we are strong, we are powerful, and we have the memory of beautiful babies whose strengh and fighting spirits inspires us and pushes us every day. Love and miss you baby boy. Today is also my birthday, my 55th! I also was blessed to have two beautiful sons who I love with all my life. I received Ty's so sweet bracelet. I didn't know Ty, but I love him too. Happy crappy birthday to you and I will continue to follow Ty's journey as long as it continues! Crappy birthday, Cindy. Your family is always in my thoughts and prayers. God bless you! Hugs to you and a "Crappy Birthday." I love what you said about him being made of pure love. I am positive he was and is. I love the paying it forward idea for Ty and the TLC Foundation. Do you have cards for the foundation available for purchase so we could leave them behind along with a good deed? What a beautiful boy. Ty is in our thoughts. You keep his memory alive daily. Even those who never met him feel his presence. It can not be forgotten. Im heartbroken for you. I really dont even know what to say....I pray to God to give you and Lou strength to keep getting through each day until you are reunited with your beautiful boy. Would you be able to tell us what time Ty was born on October 4th? I would like to release balloons in his memory at that time. Maybe you could post this idea on your facebook page and people all over the world who follow you would do the same? Here's a little birthday wish come true... I hope it makes you smile and is the beginning of something bigger! I know you are trying to spread awareness and I saw this during the weekend football games. I wasn't sure if you caught it or not. But this football player is making a difference spreading Cancer awareness. Check out this link below of his interview. Maybe you can reach out to him too. He's campaigning your same cause. My little boy sleeps like that with me, too. So sweet. Happy Crappy Birthday to you, Cindy. 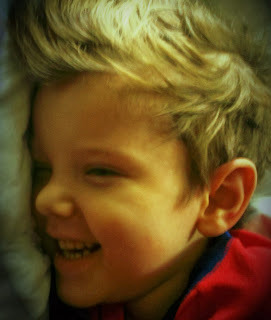 Please tell Lou how wonderful he is! I know this is an even tougher month for you. I will do something to honor Ty's birthday on Friday. I have seen so many hawks lately, so always think of Ty when I do. First, I wanted you to know that I had a beautiful "dream" about Ty last night - it was actually during the meditative part of my yoga class - it just came to me - all about Ty, and his beautiful spirit wrapping up you and Lou and Gavin with love and smiles and giggles and hugs. I don't know why it came to me then, but I have to believe my mind's eye was seeing Ty still with you... Secondly, I really wanted to share the idea I stumbled across on facebook to honor Ty's birthday!!! - I found this site that DONATES HANDMADE DOLLHOUSES TO KIDS WITH CANCER!!! The prices are far reduced for the cause!!! Everybody check it out!!! https://www.facebook.com/TheMagicalDollhouse I was so excited to find it (I follow the Hope for Johnathon page, and he just received a beautiful one, and that gave me the idea) I ordered a beautiful little house that will go to a child fighting cancer. Happy almost Birthday in heaven, Ty!!! Aside from trying to make you smile...I have seen and heard so many wonderful ways people are showing their awareness. -Darlene Rodriguez of NBC news has been sharing her support of pediatric cancer, specifically The Christian Rivera Foundation. This story inspired another amazing doctor to dedicate himself to making a change. -Yesterday I was leaving work ( while wearing my SuperTy shirt) when a parent said " Superty's birthday is Friday and she points to her child and says he is figuring what to do for it. " -Crossroads Deli collecting change for Ty Foundation. -My friend's son's hockey team will be wearing SuperTy Jerseys. Go Carmel. - Adams Fairacre Farm Stores had donation cards plastered at the the front of the stores for pediatric cancer. I am so sorry that is the way you spent your birthday. The picture of Ty sleeping is just beautiful! Prayers are still being sent to you and your family. Wishing you a crappy birthday. Sending love and support always. Happy Birthday 2 the most beautiful boy who has touched my heart in such a special way. Many hugs to you and your family Cindy. My thoughts and prayers are with you always. You break my heart. Happy Birthday, Ty. 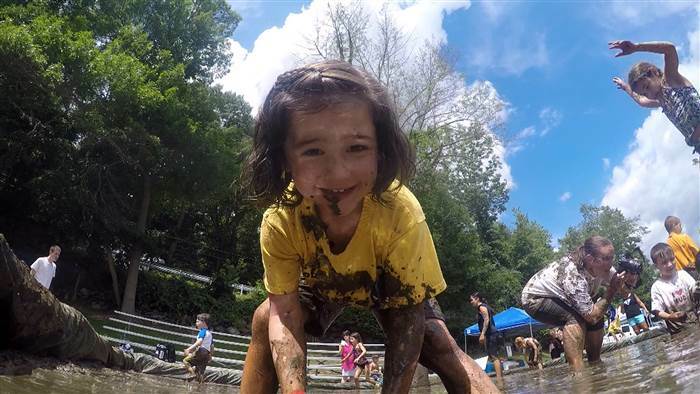 I promise my son and I will have an extra special, extra messy weekend in your honor. I'm so sorry your mommy can't do the same. It is beautiful day in Louisville, Ky- thinking of Ty and all the Campbell family today. Thank you for sharing your story- it has made a difference! I've been racking my brain since this post trying to figure out what I can do for Ty's birthday. My first thought was to make fliers about him and his story and walk several department store parking lots and put the fliers on cars. Then I googled that may be illegal so I may have to revisit that idea. On Wednesday I was at the bank which hardly ever happens because I'm a drive thru or online banking kind of gal. The transaction took some time and while I was waiting this HUGE bowl of suckers was in my sight. And in the bowl was one blue sucker sticking out like a soar thumb. I was just staring at it. It may have got to the point where people were looking at me a little funny. After my transaction, I asked for it. The teller politely gave it to me and I was on my way. So today we will be sending this sucker priority mail aka balloon straight up to heaven for Ty. This still wasn't enough. I shared his picture and gave out his website on Facebook, still not enough. I decided on Thursday that the best way I could spend Ty's birthday was to do something special with my boys. I took off from work and that is what we are going to do. Whether it's a park, pumpkin patch, or Chuck E. Cheese. We are going to party like rockstars for our Ty. I think we may even have to blare Aqualung's song Pressure Suit (my theme song for Ty and Cindy) and just dance our butts off for Ty as well. HAPPY BIRTHDAY TO THE BEST LITTLE BOY EVER!!! Happy Birthday to the Best Good Boy in the Whole World! My thoughts are with you and your family today. Happy Birthday Sweetest Ty - May you feel all the love that is being sent your way - I know Heaven is having a grand party for you, muddy puddles and all..show Momma and Daddy some love if you can- they will need it.. Happy Birthday Sweet Boy! May you have the biggest bash up there, filled with as much candy as there is love for you down here! I Think about you and your family always. I truly believe you were an angel sent to this earth to change the world as you have! Hugs to your mommy, daddy & little brother especially today and always. Happy Birthday Ty! Thinking of you today and always. You are so missed and loved by many. Cindy you are a local celebrity. ...although you never meant to be.."God gives special children to special parents". Ty has done so much but we can do more! Vince neil lost a child to cancer..do you think we should tweet him? Happy Bday Ty!! Always in my heart! !